Student scholarships: Companies have helped provide partial/full scholarships for students in the past. Sample Scholarship: The Facebook Diversity Full Scholarship, which provided women from historically underrepresented populations the opportunity to launch a career in tech through Hackbright Academy. This scholarship covered the tuition as well as a living stipend. 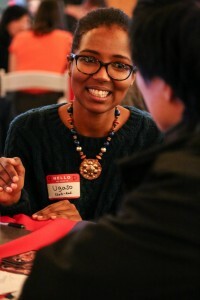 Mentorship Program: Companies are encouraged to have their engineers volunteer to mentor Hackbright students! Fill out the form below and we’ll be in touch to see how we could work together!